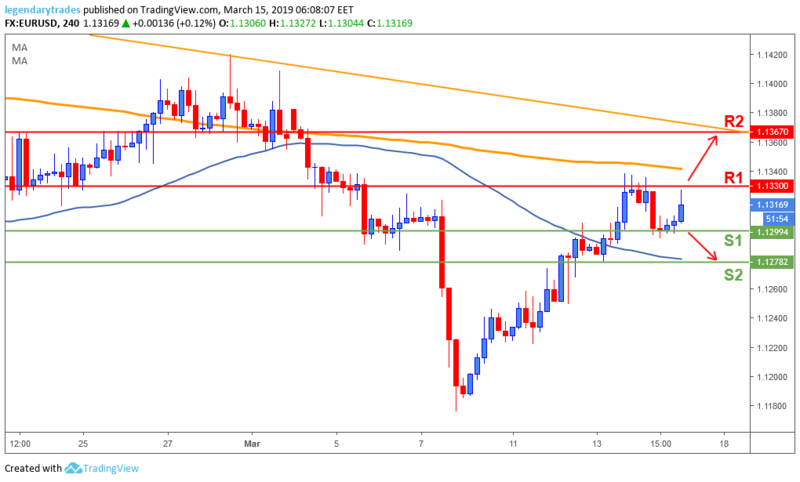 The Euro fell during yesterday’s session after reports suggesting China is considering delaying the Trump-Xi meeting to at least April, triggering demand on the greenback. In economic news, German February CPI missed the market's expectations up by 0.4% MoM and by 1.5% YoY. US data disappointed, stopping dollar's advance, as Initial Jobless Claims increased more than expected, while New Home Sales plunged by 6.9% in January. Today, traders will primarily focus on the EU as it will unveil February CPI figures. And the US will publish the March NY Empire State Manufacturing Index, February Industrial Production and the Michigan Consumer Sentiment Index for March. The Euro pulled back yesterday and found support around 1.13 (S1) as 1.1330 (R1) is acting as resistance for now. A break above this level, the single currency could likely head towards 1.1367 (R2) as it is a key resistance level. Alternatively, a break below 1.13 (S1) could take price lower towards 1.1278 (S2) which coincides with the 50-day MA (blue line).